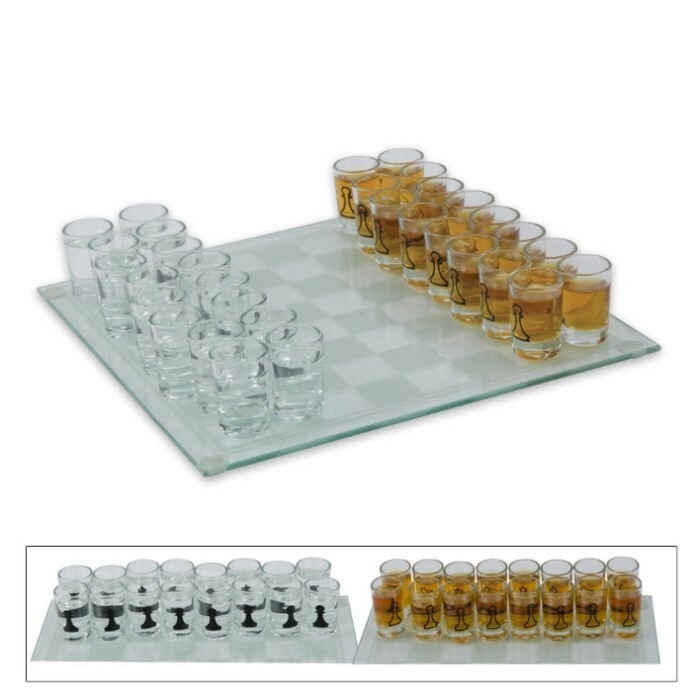 Chessboard measures: 9 3/4" x 9 3/4"
This drinking chess set game includes a full set of 32 shot glasses, complete with chess piece artwork on each glass. The chess board is also included and measures 9 3/4 in. by 9 3/4 in. Each shot glass measures 1 5/8 in. tall. a little small and thin but its fine for the price.